Combining belt technology with engineered vacuum pumps to provide the optimum results! 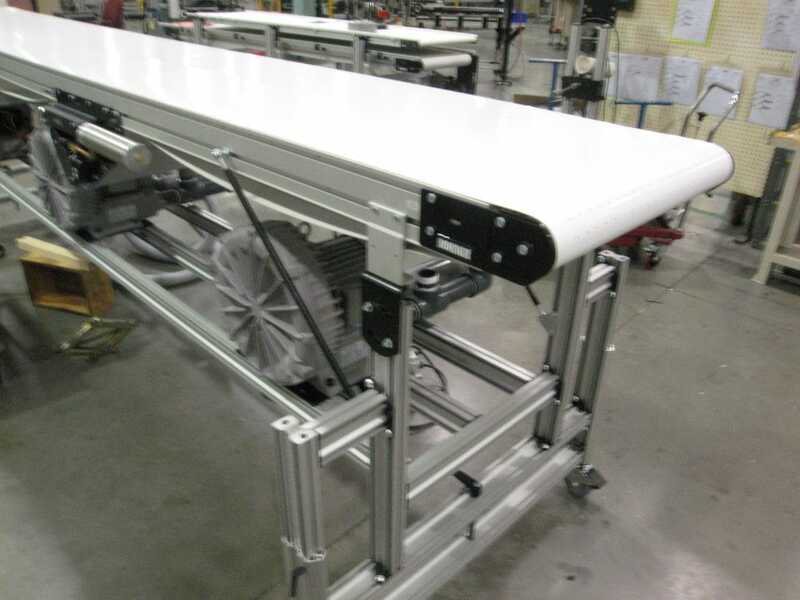 Dorner is the Largest Supplier of Vacuum Belt Conveyors in the Industry. 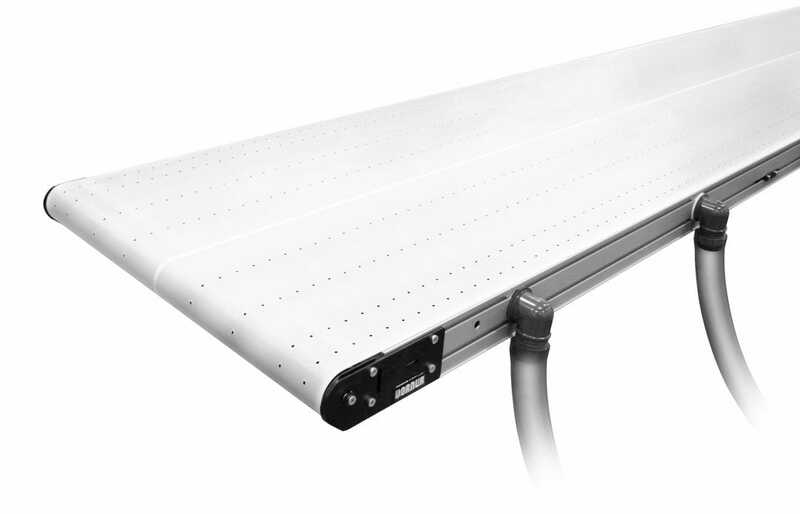 Vacuum belt conveyors are made by perforating the belt and drawing air through grooves in the bed of a standard conveyor. 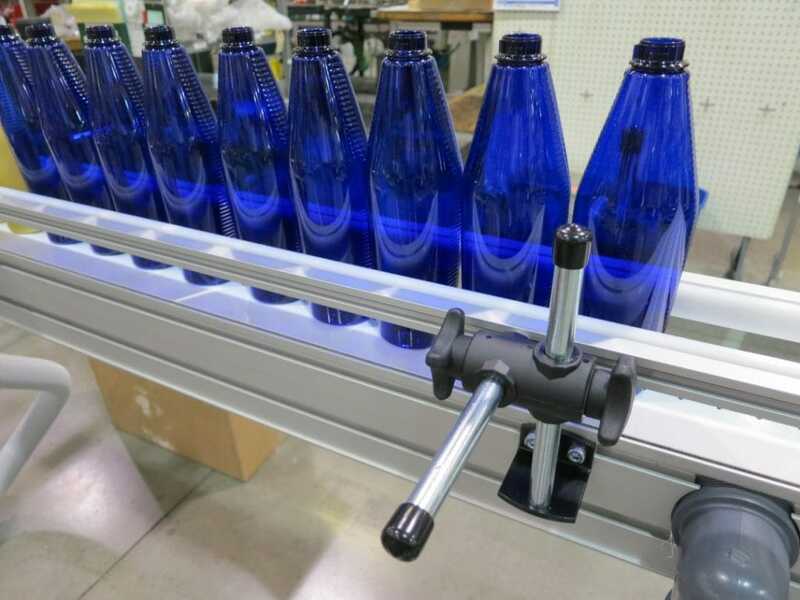 Can be used in upside down applications vacuum conveyors are made by perforating the belt and drawing air through grooves in the bed of a standard conveyor. Every vacuum conveyor is engineered to the exact needs of the customer’s part. This includes fluting paper, empty plastic bottles, moving insulation, and holding injection molded parts. 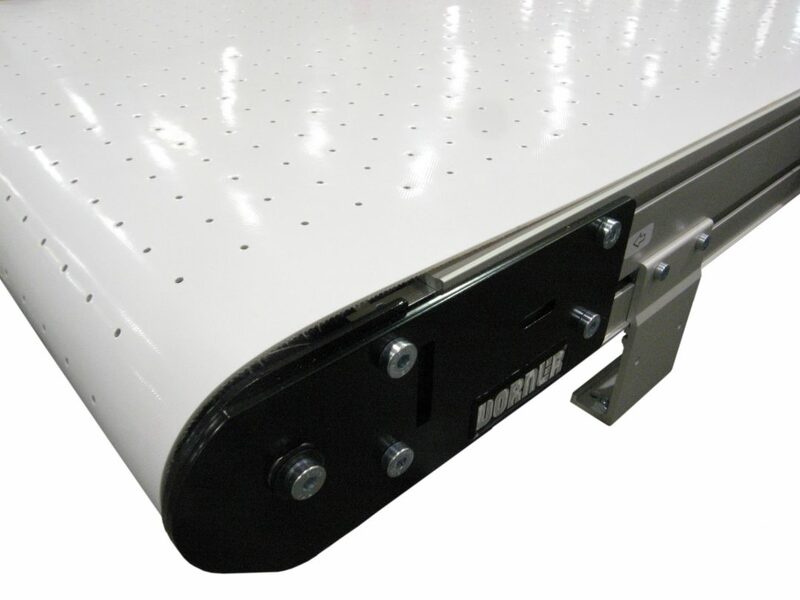 Dorner combines vacuum belt conveyors with expert control technology to ensure precision part location. All vacuum belts are made at Dorner to ensure optimum part holding ability. 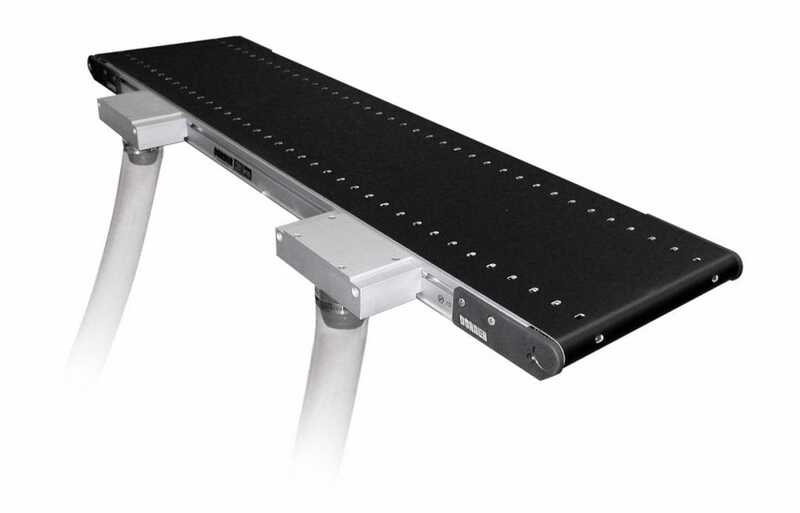 Dorner oversees all quality assurance, which means more reliable conveyor systems for the customer. Friction belting is available for rigid parts like plastic caps, plastic bottles, ceramic wafers, glass ware, etc. Electrically conductive belting is available for thin product like paper, light cardboard, cloth, plastic film, etc.